Happiness is a Newly Engaged Couple! Home/Blog Post/Happiness is a Newly Engaged Couple! I have to say it makes my day when a happy new couple LOVE their Ring! 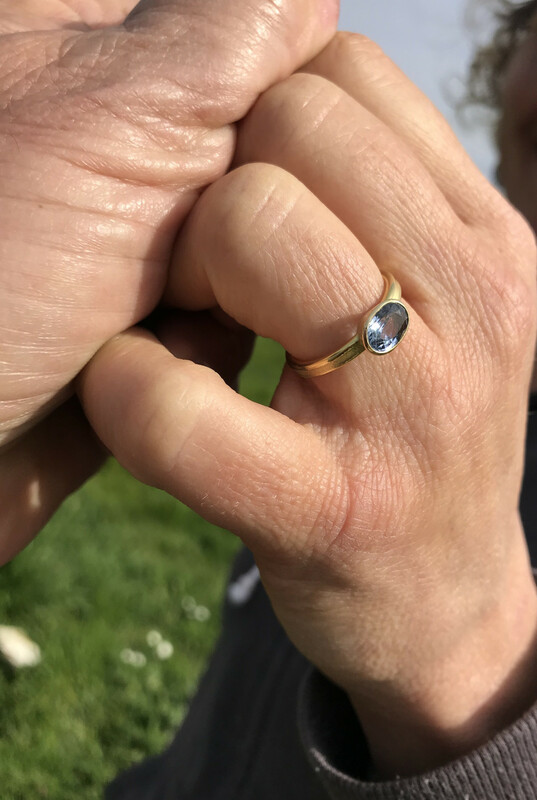 This beauty is a hand fabricated 100% recycled 18k yellow gold ring with lovely oval tapered bezel with bright Ceylon sapphire! Congratulations to Cynthia and Frank!